$6 Pints Every Monday! 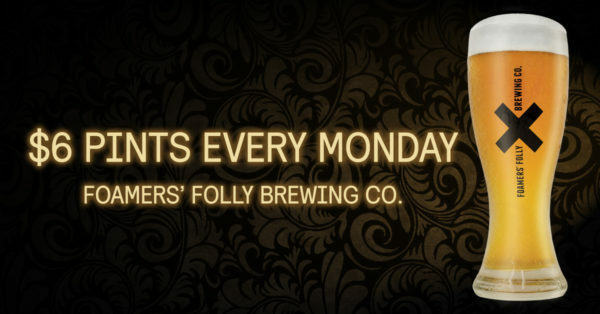 - Foamers' Folly Brewing Co.
All 16oz pints of beer are just $6 on Mondays. That is serious value for money.